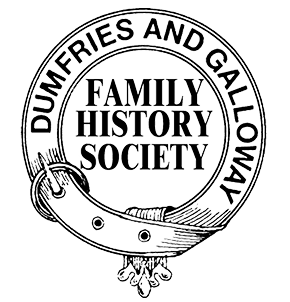 DGFHS publish booklets of Memorial Inscriptions (gravestones transcriptions) for many of the graveyards in the Dumfries and Galloway area. The booklets are organised in parishes – e.g. Kirkmaiden is the graveyard in Kirkmaiden parish not the kirkyard of the same name in Glasserton parish. In the 1960s and 1970s Archie Shannon and George Gilchrist led a team of volunteers who transcribed many of the gravestones in Dumfriesshire. We have completed our project to republish these. We have also published all the existing Old Parish burial records for Dumfriesshire. Click on any of the following Links to download the appropriate form when making a Mail Order. The forms are also available on our Downloads page above. A complete list of the 1841 Census Indexes for Dumfriesshire, Kirkcudbrightshire and Wigtownshire. Our Current Publications List for a complete list of all our publications. Our Order Form, return it to the address given with the appropriate payment. 2. Set to Flip on the Short Side.